(KTLA) -- Lucky the frog was just centimeters away from becoming Becky Garfinkel’s meal. Instead, the teeny frog — found in a store-bought, packaged salad — is now the Garfinkel family pet. Garfinkel, a strict vegetarian, spotted the tiny critter Wednesday, seconds before she dug her fork into the packaged spring mix that she had bought that day at Target. “I was going to stab at it and take a bite, and I see it … and I scream,” she said. 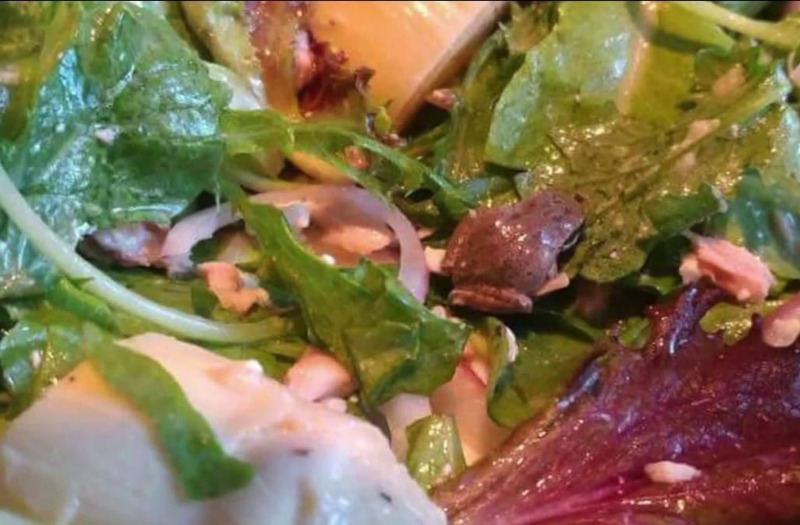 Becky Garfinkel, a strict vegetarian, found a live frog in a bag of packaged salad and has adopted the critter as her pet.